All new and returning eligible Alberta residents must register for the Alberta Health Care Insurance Plan (AHCIP) coverage to receive insured hospital and physician services. Albertans 18 years or older may register to be an organ and/or tissue donor at any time by visiting our office. 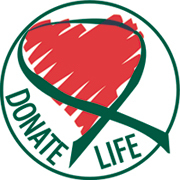 If you are renewing your driver’s licence or ID card you will be ask if you would like to register to become a donor. In order to register your consent, you will need to provide us with your Alberta Health Care card. Everyone has the potential to be an organ and/or tissue donor, however, you must be at least 18 to register your consent to donate. Discuss your wishes with your family and friends.